Whether you’re employed in a service organisation or work in a manufacturing environment, in practice there will - to a greater or lesser extent – be waste. Waste can be found in the business processes needed to meet customer demands. Examples include unnecessary waiting times, sluggish processes or mediocre results. It goes without saying that no customer will be willing to pay for this waste, let alone view it in a positive light. Yet, it’s still a very common phenomenon. 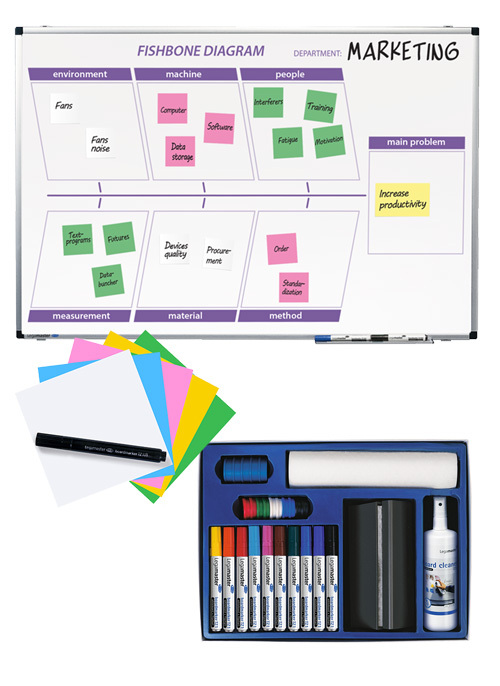 The Lean strategy offers a range of tools and techniques to help the organisation identify and deal with waste to ensure greater flow within business processes, thereby creating more time for quality and reduced costs. Activities should only be pursued if they guarantee the result that the customer requires. Whenever a Lean strategy is followed, it must be clear to everyone exactly what is expected of them, where the improvements will happen and why. This means involving the team, brainstorming the causes and solutions together and getting down to work. Not all at once - improvement takes place in small, clear steps. And once these steps have been improved and secured, it’s possible to tackle the next round of improvements. At the end of the day, there’s no end to Lean culture. It’s essential that new standards be well visualised. Visualisation ensures that any new approach is visible at all times. As a result, any deviations are quickly flagged up and can be acted upon without delay. 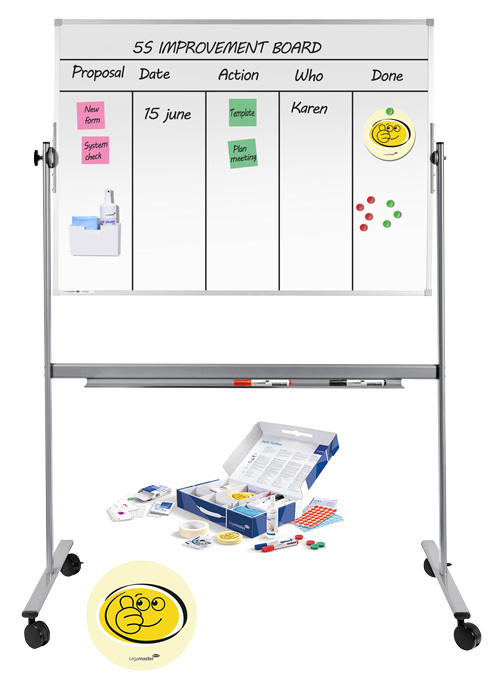 An example of Lean visualisation in the workplace is the improvement board. 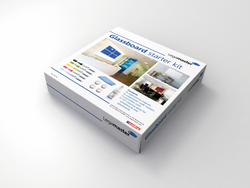 This is used during daily stand-up meetings or weekly reviews. Bottlenecks and suggestions for improvement can be displayed, with progress visualised. This lends structure to improvements and highlights any obstacles standing in the way of set goals. 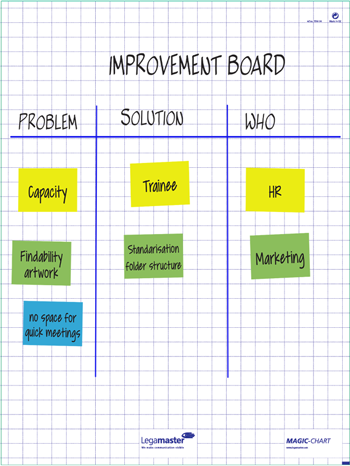 What does an improvement board look like? There’s no set board design. Every improvement board is different. 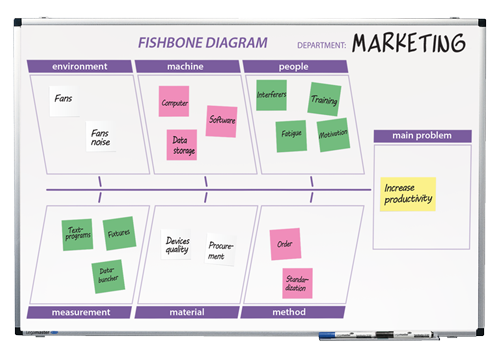 Experiment with the board layout until you end up with the tool that offers the best visualisation for your team or department. 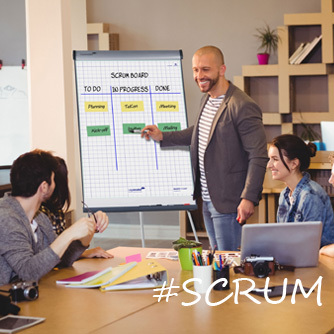 Ask your team for input and adapt where necessary if the set-up created isn’t working. 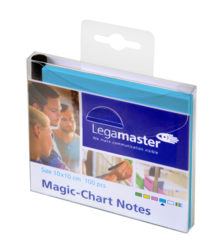 Products that can help you in this include wipeable markers for creating headings, divider tape (useful for creating columns) or magnets which allow you to attach additional information and so provide a complete overview. 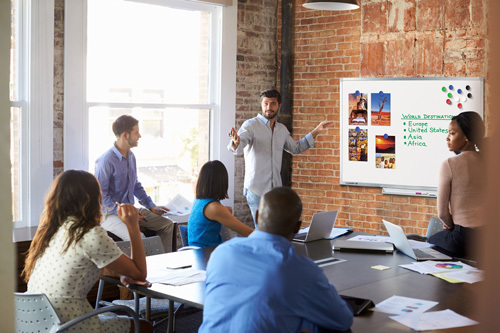 An improvement board can be based on whiteboards or glassboards. 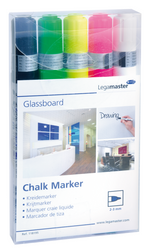 What’s more, depending on the room in question, they may be placed on a stand or can be used as a mobile tool. 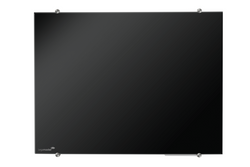 The dimensions of the board can also vary. 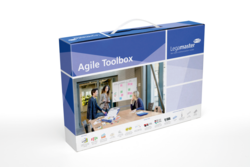 Be inspired and discover Legamaster visualization solutions for your Lean workplace here! 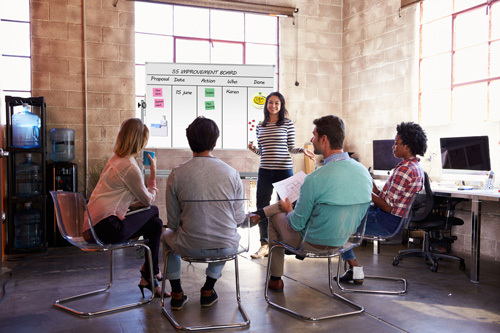 To make things really nice and easy, teams already working with a pre-designed improvement board on a regular basis can also use a pre-printed improvement board specially tailored to their needs. 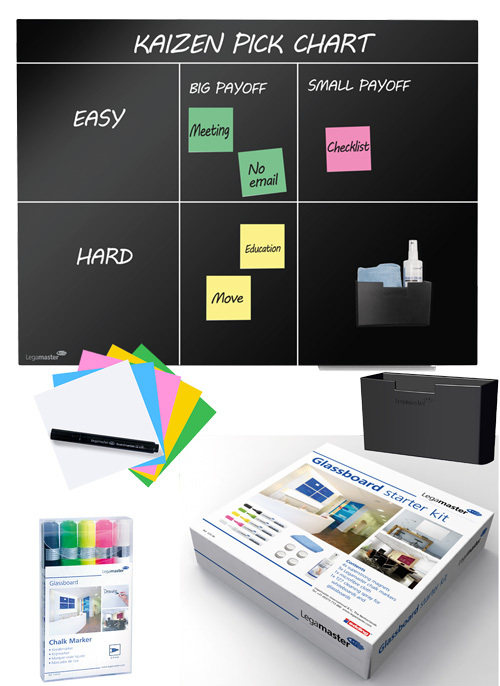 Legamaster provides the means to create the perfect improvement board for any situation and offers a full range of accessories to enable your team to get started right away. 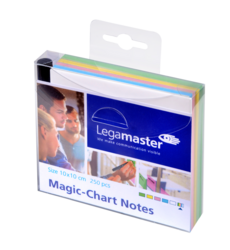 Want to know more about visualization with Lean products of Legamaster? 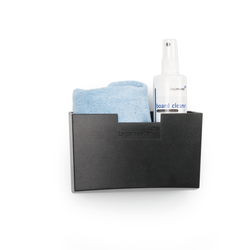 We will be happy to help you choose the Lean products that are right for you!